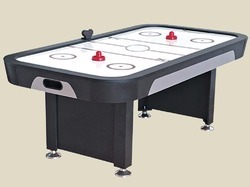 Leading Wholesale Trader of kd black diamond pool table, ice hockey table, 8ft ice hockey table, indoor ice hockey table, 8 ft air hockey table and 81 cm ice hockey table from Mumbai. 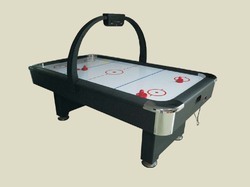 Great Indian is known for building the most rugged commercial grade billiard tables that are hard to beat - or beat up ! 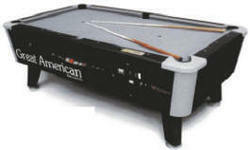 All GA pool tables are entirely MADE IN THE USA to give years of uninterrupted service ! 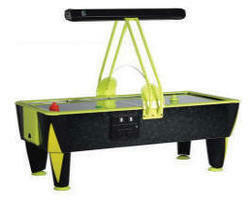 And all Black Diamond Pool Tables are crafted with the finest imported one piece slate! 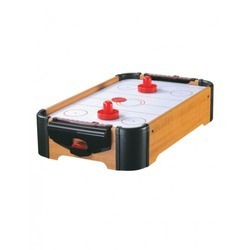 Features solid cabinet grade 3/4" Plywood construction on both sides and bottom. 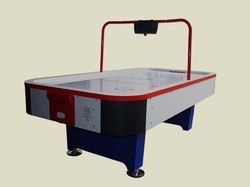 Unitized composite trouble free and fast ball return assembly Dome shakeproof washers on rails, corners and slate. Hinged locking hatch under table for leg storage and cleanout. 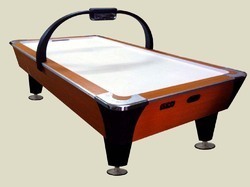 Superior-Grade Poplar Wood top frame and rails for best billiard play action ! 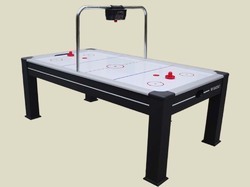 This great "Black Light" Air Hockey Table is a quality built product that has all the features of far more expensive tables, yet it comes to you at a price that is affordable! 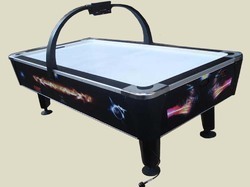 Similar to the Fast Track Tables, except that it utilizes a Blacklight Glow In The Dark system! 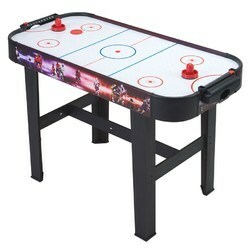 The Cosmic Hockey Table is of Solid Plywood and Aluminum construction, along with a unique Commercial Quality Stainless Steel playing surface for longer life and faster gameplay, and has specially designed rebound rails with 'Stay In' puck system for maximum gameplay and safety, has unique and exciting sound effects and is operator adjustable for Price, Time of Play, and Scoring! 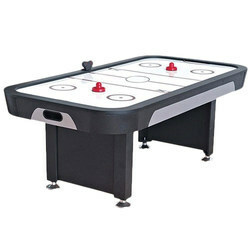 You can search the world and we doubt you will find better Hockey Tables than this -- why not give those locations a boost with these attractive and robust, quality built tables now? 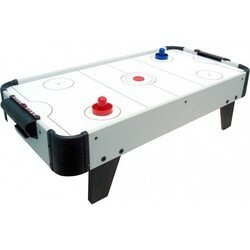 Comes with 2 Hockey Mallets and 2 Air Hockey Pucks. 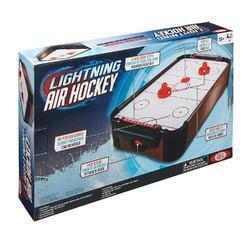 Looking for Air & Ice Hockey Table ?